Fridgenius was started in 1995 by its Managing Director David Slydel, based in Wimborne, Dorset, UK. The company is a family business run by his son Chris Slydel. 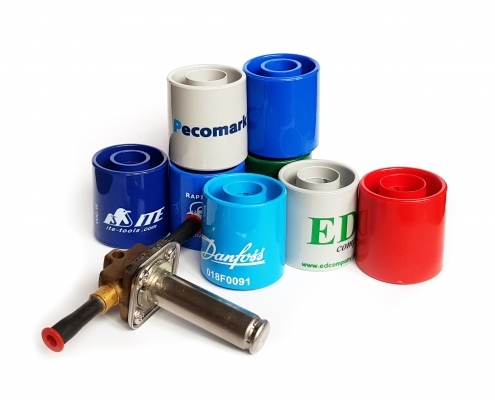 We supply National and International distributors with Solenoid Valve Operating Magnets suitable for use in Refrigeration, Air-conditioning, Water, Oil and Gas installations. We designed the Solenoid Valve Operating Magnet to solve the problem of how to operate Solenoid Valves when a system is not under power. The Magnet is the same shape and size of a large cotton reel and, when placed onto a solenoid valve (with the coil removed), it causes the armature to open or close. This means the magnet can be used to operate valves in a plant or system which has yet to be wired-up or has been decommissioned.It eliminates the need to wire up the system or worry about the correct voltage. It can also be used when recovering refrigerant from a plant which has already been decommissioned and power removed. 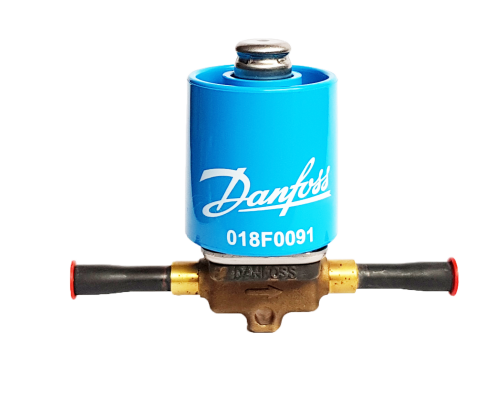 In emergencies, such as the failure of a Solenoid Valve coil, it can also be used to keep a system operating while a replacement coil is found. At a recent refrigeration exhibition an engineer congratulated the Company on its “superb product!” Saying he wished he had invented it! He recounted that whilst watching a rugby match on TV, he received a call from a milk processing plant customer. His plant was warming-up and he needed help. He found that the solenoid coil had burned out and by using the Fridgenius Solenoid Valve Operating Magnet, he was able to run it permanently – setting it to cutout under pressure. The use of this ingenious gadget had ultimately saved 14,000 litres of milk which resulted in one very happy customer! The engineer returned home in time for the end of the rugby match!